Here are the results of the numbers game we played in class. You were asked to guess a number between 0 and 100. The winner would be the person who guessed closest to two thirds of the average of everyone in the class. 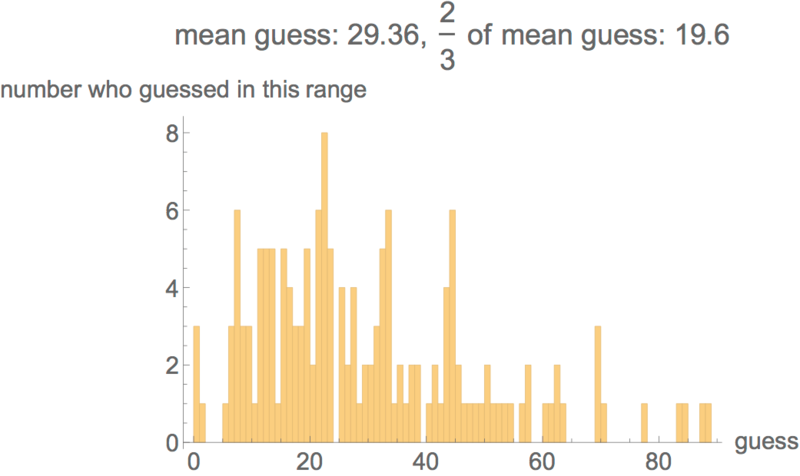 Here is a histogram of the guesses. Congratulations to class rep Nic, who clearly had the best handle on the class! See the history of this game here.